Since the original acquisition of the Poteau facility in 1997 New Generation Supplements has expanded its manufacturing capabilities throughout the United States and today includes additional company owned manufacturing facilities, as well as joint venture operations. 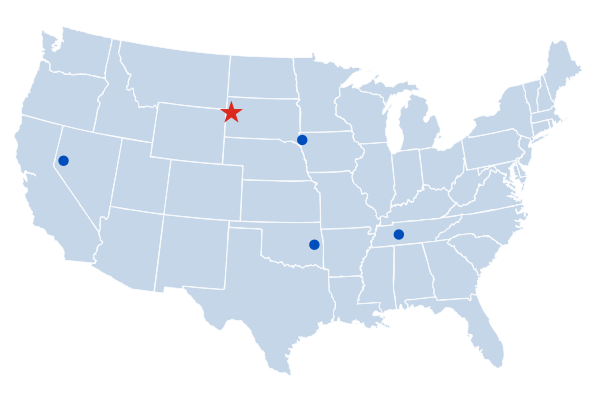 New Generation Supplements owns state-of-the-art manufacturing plants in Poteau, OK, Belle Fourche, SD and Silver Springs, NV and has ownership in two additional joint venture facilities located in Sioux City, IA and Shelbyville, TN. These plants produce a range of high quality New Generations Supplements products for cattle, horses, sheep and goats, as well as other industry leading products.